To assist our customers, we have made a helpful guide. Click here for more info . If you have any queries or need any assistance in deciding which size unit best suits your needs, we are here to help. Our facilities are built for easy access, and we provide loading equipment and packing materials. We can deliver packing materials directly to you. You will be provided with your own electronic access key which gives you unlimited access to the storage facility during opening hours. Only you have keys to your storage unit. The building is alarmed and monitored with CCTV recording 24 hrs, 7 days per week. You items must be insured whilst stored, just as they are whilst in your home or business. Insurance for your items is available at reasonable rates. 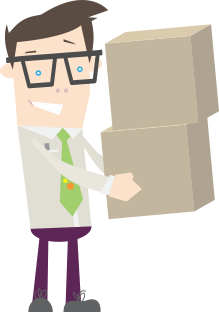 If your contents policy covers your goods and belongings within our premises, then that is acceptable too. (Please bring your policy documents with you when you take your unit). What items can’t I Store?